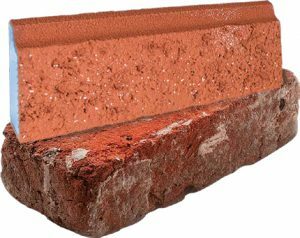 Simply put, NewBrick is the biggest innovation to brick. Ever. Now you can get the look of brick you want without all the weight, hassle and cost associated with the traditional clay brick. With NewBrick, you can achieve the classic look of brick, while enabling you to build more cost- and energy-efficient buildings from the ground up. Installation is quick and simple and can be completed over most common building systems, including concrete and masonry, as well as over Dryvit Outsulation® and Stratum Guard® systems. • Part 3 NBC buildings with >50% permitted area of unprotected openings (NBC 3.2.3.7). For more information, pictures, and videos of this innovation, please visit NewBrick.com. For technical information, details, specifications and application instructions, please visit dryvit.ca.